One of the most important things we do as a professional photographer is preserve memories. Upon being provided this cherished photo from a daughter of her mother that had been unfortunately damaged to one degree or another. Fading, cracking, creasing, staining, and tearing has all left their marks, and did not help their cause. With the years of trained knowledge in Photoshop, we at Tony Giese Photography were able to bring this photograph back to life. 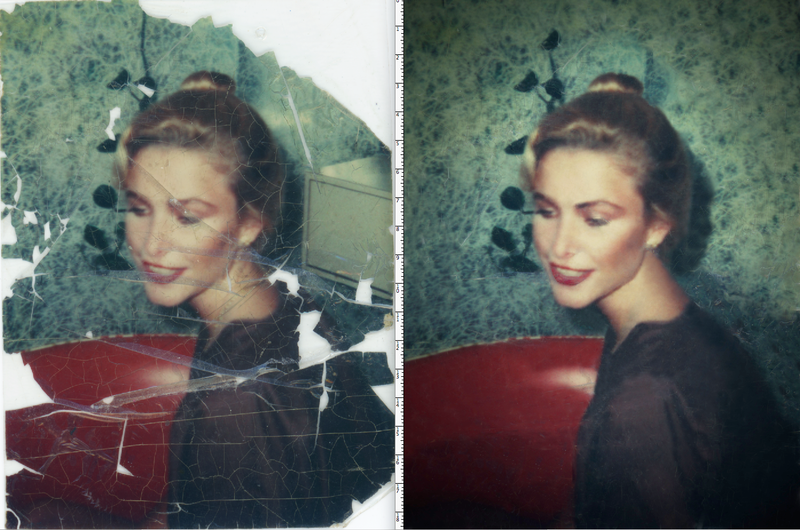 Before and after of Photoshop retouching of a old damaged photograph. This entry was posted in My Posts and tagged commercial photographer, damaged photo, Daytona Beach photographer, Florida Photographer, Florida Photography, Headshots, portrait photography, preserve memories, Retouching damaged photos. Bookmark the permalink.